Written by Daniel Muñoz on Wednesday October 10th, 2012 . The Manuel Rojas Foundation was created in Santiago – Chile, on the 5th of October 2011. 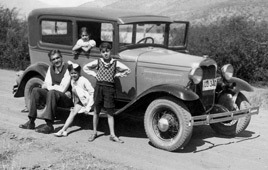 The founders are the relatives of the renowned Latin American writer Manuel Rojas (Buenos Aires, 1896 – Santiago, 1973). The Manuel Rojas Foundation is a non-profit cultural organization based in Santiago. 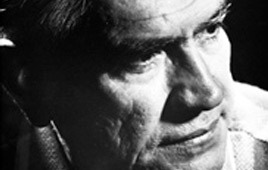 Its primary mission is to preserve and promote the literary work of this renowned Latin American author. The founders are the three children and four grandchildren of the writer. These two generations of Rojas’ relatives sought the support of a group of professionals and academics, familiar with the author’s life and work, to form the Directorate. The Directorate of the Manuel Rojas Foundation is responsible for implementing all its activities. In order to perform its mission of preserving and promoting the Manuel Rojas’ literary work, the Manuel Rojas Foundation operates in four areas: Archives, Research, Communication and Publication. The Manuel Rojas Foundation seeks and appreciates the cooperation of people and institutions interested in supporting its mission.